Fraudsters purporting to be from your bank can be convincing, but there are some things your bank will never ask you. Your bank will never ask for more than three digits from your PIN to confirm your identity, for example. New ways to bank – by telephone, the Internet and now your mobile – have saved us a lot of time but have also opened up opportunities for fraudsters. Their tricks normally involve pretending to be your bank’s representatives, whether on the phone or via email. After convincing you that they are genuine, they ask you to carry out various plausible-sounding actions that will result in your account being raided. This trend is becoming more popular in the country and the Central Bank of Nigeria is coming up with initiatives to combat electronic frauds in the banking system. If your bank does contact you, perhaps to check that a transaction was really made by you, it would not ask for more than three digits from your PIN to confirm your identity, and would never ask for online passwords. Having posed on the telephone as a bank employee to extract key security information such as your full PIN, the criminals may say they are sending an official courier to your home to collect the corresponding card. These couriers will have bogus “official” identification. Often criminals, posing as a bank, will instruct you that your account is under threat – usually from a “corrupt employee” or “cyber criminals”. You will be instructed to make an online transfer of money into a new “safe account” – actually the fraudster’s – or hand cash to a bogus employee. Criminals pretending to be from a bank sometimes email customers asking them to perform a “test” transaction online, perhaps because of a “technical problem” on their account. This is the well-known “phishing” scam. Don’t do it, even if the email address appears to belong to the bank. To download your bank’s mobile banking app, follow the link from its official website. Reputable investment firms do not cold-call. Fraudulent “boiler rooms” can be very persistent and persuasive, so just put the phone down. 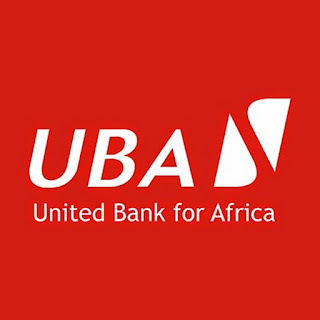 United Bank for Africa Plc, UBA, announced yesterday that its London subsidiary has obtained regulatory permission to carry out wholesale banking activities in the United Kingdom, UK. Following this authorization, UBA is now the only Sub-Saharan African bank to conduct banking activities in New York and London, as well as in 20 other countries across Africa. “This authorization strengthens our capabilities in meeting the growing cross-border financing needs of our customers. It enhances our customer coverage and product offerings whilst positioning our Group as an optimal conduit for trade and foreign investments into and across Africa as well as export flows to the United Kingdom. Importantly, the license will enable us to fulfill our aspiration of deepening financial intermediation in Sub-Saharan Africa and providing the much-needed financial support to the broader real sector of the African economy,” he added. As part of the transformation process, resulting from the authorization, the current name of UBA Capital (Europe) Ltd will change to United Bank for Africa (UK) Ltd. The audited financial statements of Sterling Bank Plc for the year ended December 31, 2018, have been approved by the board of directors of the bank. The financial results were okayed by the board at its meeting held on Tuesday, February 26, 2019, in Lagos. 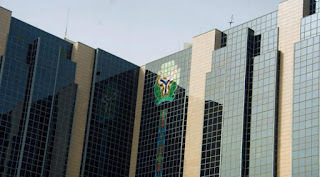 With the board approval, the company’s financial accounts would now be forwarded to the Central Bank of Nigeria (CBN) for its scrutiny. 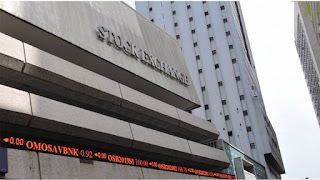 If the apex bank, which is the regulatory agency for the banking industry in the country, okays the results, the lender will then release the results to the general public on the website of the Nigerian Stock Exchange (NSE). The financial institution, in a statement, said, “We are pleased to inform our shareholders and other stakeholders that the board of Sterling Bank Plc as its meeting of February 26, 2019 approved the audited financial statements for the year ended December 31, 2018 subject to the approval of the Central Bank of Nigeria (CBN). Nigeria’s stocks and bonds rose yesterday as investors increased demand for securities following the conclusion of the presidential election. Investigation revealed that the Nigerian stock market, which depreciated 0.61 per cent last week, opened this week with a gain of 0.57 per cent yesterday. Specifically, the Nigerian Stock Exchange (NSE) All-Share Index rose to 32,700.12, from 32,515.52, while market capitalisation added N68 billion to close at N12.194 trillion, from N12.125 trillion recorded last Friday. The market had gained 6.6 per cent before the postponement of the presidential election from February 16. The postponement of the election led to market decline by 0.61 per cent last week as most investors adopted a wait-and-see strategy. 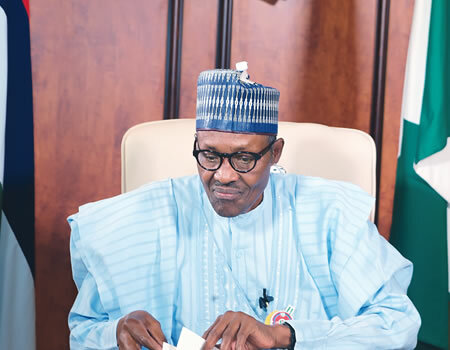 However, the conclusion of the presidential election over the weekend and collation of results have reduced political uncertainty as some investors increased demand for stocks, leading to a growth of 0.57 per cent. It was gathered that there was also a rise in bond prices which was more pronounced in longer-dated, local currency bonds such as the 2028 bond. Yields on the 10-year paper fell to 14.5 per cent yesterday from a previous close of 14.68 per cent. “Barring any negative surprises at the polls, we anticipate a positive start to this week’s trading as investors price in improved certainty upon conclusion of the general elections,” analysts at Vetiva Capital, told Reuters. The election had been scheduled to take place on February 16, but was postponed by the Independent National Electoral Commission (INEC), citing problems in delivering ballot papers and results sheets to some parts of the country. Market operators had said the postponement was not good for the stock market. For instance, Chairman of Association of Stockbroking Houses of Nigeria (ASHON), Partick Ezeagu said the postponement would lead to more uncertainty in the stock market in particular and economy in general. According to him, uncertainty is the greatest phobia that afflicts any market and even more applicable to the capital that is very sensitive to uncertainty in the political fate of a sovereignty. “The capital market in Nigeria is sad, the reset delay in the conduct of our national election and the fact that it happened less than six hours before the election was to commence. Investors will react negatively unless a very credible reason is adduced and effectively disseminated urgently,” Ezeagu said. Similarly, Group Chief Executive Officer of Emerging Africa Capital Group, Mrs. Toyin Sanni, said the postponement had lengthened the waiting time for investors who had already adopted wait-and-see approach to prospects of investing in Nigeria. “In investments, the longer the waiting time for any outcome, the higher the perception of risk. Also, the postponement indicates that we may not as a country have all our acts all together, thus increasing concerns about the possibility of the election process being smooth and hitch free,” she said. Sanni added that the development could also raise, in some quarters, fears that the process itself may be manipulated. “Anything that reduces the perception of transparency affects our attractiveness and credibility and investment destination,” she said. Another stockbroker, Mr. David Adonri of Highcap Securities Limited said the postponement of the election at the dying minute is an insult to the electorate. “Every sector of the economy including the capital market will be disastrously affected. It will further erode investors’ confidence, which is already at a low ebb,” Adonri said. Also, Mr. Sola Oni of Sofunix Investment, said the postponement is a sad commentary that will deepen Nigeria’s political risk with dire consequences on investment decision. “The shock caused by the announcement may jolt foreign portfolio investors who have been apprehensive of the presidential election. It is not unlikely that trading on the stock market may be moderated by this development as it is capable of further eroding investor confidence in our market. Every political decision has direct or indirect impact on the financial market. I think the time has come for our leaders to stop making Nigeria a laughing stock before the international community,” he said. However, Garba Kurfi of APT Securities and Funds Limited said the postponement may not have much negative impact on the market given the growth the market has recorded in the last two weeks. “Although it has a cost to the economy but may not affect our market due to expectations of companies’ results which have started coming into the market. We are expecting the market to continue to rise in anticipation of good results to be declared by companies,” he said. But despite the announcement of corporate earnings with dividends last week, most investors remained on the sidelines, leading to a decline in the market. First Bank of Nigeria has said the bank’s ongoing Visa on mobile (QR) payment promo will reward customers with various discounts for using the QR payment on the FirstMobile App while carrying out transactions with select partner merchants. In a statement, the bank said the promo would end by the end of February. Three days to the presidential elections, Marina, the thriving urban centre of Lagos was shut down at 2pm by over 50 military men armed to the teeth. So much so that vehicular movement was prohibited, only pedestrians were allowed on Customs street in Marina, Lagos. According to eyewitnesses over 15 trucks, including bullion vans were loaded with what looked like money from the Central Bank of Nigeria, located on Custom Street, Marina Rd. Lagos. Witnesses also said that these armed men guarding these trucks being loaded with cash were not only armed to the teeth, but they looked quite menacing. For fear of violent reactions, pedestrians were scared to bring out their phones to take pictures or receive calls, as these soldiers watched everyone like hawks. There are also speculations that it may be sensitive election materials being transported in these heavily guarded trucks but we will never know. Recall that the highly anticipated presidential elections is on Saturday, Feb. 23, 2019 after it was postponed from, Feb. 16. Therefore tensions are high in Nigeria as the two major parties’ presidential candidates are geared for a political face-off. A Federal Capital Territory (FCT) High Court has set aside an earlier order it granted the Economic and Financial Crimes Commission (EFCC) to remand former chairman of the defunct Skye Bank, Tunde Ayeni, for 14 days. The court, while vacating the order yesterday, held that the anti-graft agency misled it into granting the application on account of suppressed fact. Justice Yusuf Halilu consequently ordered his immediate release from EFCC custody. The ruling followed an enforcement of fundamental rights suit filed by Ayeni seeking his freedom. The agency had last week approached the court through an ex-parte application. The commission had hinged the request for a remand on the need to investigate a petition submitted by the office of the Vice President in respect of Ayeni’s alleged role as chair of the financial institution. The applicant however approached the court to challenge the order, praying for it to be set aside. 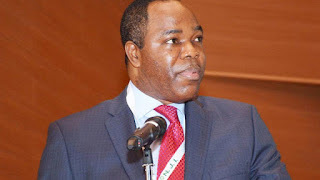 In his argument, the Ayeni, through his lawyer, Ahmed Raji (SAN), submitted that the application was to challenge the jurisdiction of the court and EFCC’s action. Raji told the court that the detention of the applicant was a breach of his fundamental human rights considering that he went to the EFCC upon invitation. 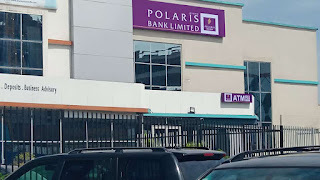 Polaris Bank has entered into a strategic partnership with the Niger State Government to help participants in the supply value chain of the National Home-Grown School Feeding Programme (NHGSFP) open bank accounts with the lender with ease. Managing Director, Polaris Bank, Tokunbo Abiru, said the decision to partner with the state government aligned with the Federal Government’s commitment to ensure more children have access to education especially those from the less privileged (underprivileged) and most vulnerable segments of society. While stating that human capital development was dear to the bank, Abiru said the partnership with the state government was in consonance with Polaris Bank’s commitment to bridging the gap in the number of unbanked Nigerians. He disclosed that since the feeding programme commenced in 2016, over 7,500 people across supply value chain have been engaged in Niger State while Polaris Bank has opened bank accounts for 1,500 cooks. “When you take into consideration a recent survey which shows that about 40 per cent of Nigerians are unbanked, and the financial inclusion target of the Central Bank of Nigeria, you will see the importance of the work we are doing with the Niger State government. This will also ensure that we stimulate the economy in the state by providing banking services to the various chain of food suppliers, transporters, food stuff sellers, farmers and all other components involved,” Abiru said. The NHGSFP is an initiative of the Federal Government designed as a deliberate act to encourage mass education to the less privileged (underprivileged) and the most vulnerable. The scheme also provides a viable balance diet for school children to fulfill all their basic nutritional needs. Global Finance magazine has named its 20th annual World’s Best Investment Banks in an exclusive survey to be published in the April 2019 issue. Winning organizations will be honoured at an awards ceremony on the morning of October 19, 2019 at the National Press Club in Washington, DC during the IMF/World Bank Annual Meetings. 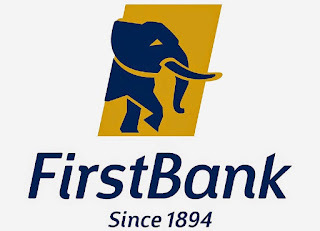 J.P. Morgan was honored as the Best Investment Bank in the world for 2019 while Coronation Merchant Bank was recognized as the Best Investment Bank in Nigeria along with Barclays, VTB Capital and DBS Bank as the Best Investments Banks in Western Europe, Central & East Europe and Asia – Pacific regions respectively. Investment banking plays a key role in moving the global economy forward. Our awards highlight the investment banks that stand out in delivering quality insight and innovative deals that meet their clients rapidly changing needs,” said Joseph D. Giarraputo, publisher and editorial director of Global Finance. Commenting on the award, Abu Jimoh, Group Managing Director/CEO of Coronation MB said, “We are delighted to be recognized as the Best Investment Bank in Nigeria. Our successes and achievements over the years is a reflection of the hard work and commitment of our staff, management and Board in ensuring we maintain our core values of integrity, innovation and excellence in service delivery”. He further stated that, “This award affirms that we are on course to achieving our long-term goal of becoming Africa’s premier investment bank”. Coronation Merchant Bank is a Nigeria based financial institution, founded in 2015 and offering a range of services to individual and institutional clients, including trade finance, treasury, investment banking and brokerage products. Coronation Merchant Bank is part of the Coronation group of companies, one of Africa’ leading investment management groups offering asset management, merchant banking, risk transfer and digital distribution capabilities. The Bank's achievements over the years has led to numerous accolades in recognition of excellent service delivery, provision of tailor made solutions and good corporate governance. In 2018, Coronation MB received several national and international awards for product and service innovation and sound corporate governance practices, such as: Best Investment Bank in Nigeria by World Finance, Fastest Growing Investment Bank by Global Banking & Finance Review, Best Investment Bank by Global Business Outlook, Best Investment Bank and Best Fund Managers by International Finance Magazine and Best Investment Bank in Nigeria by BusinessDay.